HiperMAN (High Performance Radio Metropolitan Area Network) is a standard created by the European Telecommunications Standards Institute (ETSI) Broadband Radio Access Networks (BRAN) group to provide a wireless network communication in the 2–11 GHz bands across Europe and other countries which follow the ETSI standard. HiperMAN is a European alternative to WiMAX (or the IEEE 802.16 standard) and the Korean technology WiBro. WiMAX is a family of wireless broadband communication standards based on the IEEE 802.16 set of standards, which provide multiple physical layer (PHY) and Media Access Control (MAC) options. IEEE 802.16 is a series of wireless broadband standards written by the Institute of Electrical and Electronics Engineers (IEEE). The IEEE Standards Board established a working group in 1999 to develop standards for broadband for wireless metropolitan area networks. The Workgroup is a unit of the IEEE 802 local area network and metropolitan area network standards committee. HiperMAN is aiming principally for providing broadband Wireless Internet access, while covering a large geographic area. The standardization focuses on broadband solutions optimized for access in frequency bands below 11 GHz (mainly in the 3.5 GHz band). HiperMAN is optimised for packet switched networks, and supports fixed and nomadic applications, primarily in the residential and small business user environments. HiperMAN will be an interoperable broadband fixed wireless access system operating at radio frequencies between 2 GHz and 11 GHz. The HiperMAN standard is designed for Fixed Wireless Access provisioning to SMEs and residences using the basic MAC (DLC and CLs) of the IEEE 802.16-2001 standard. It has been developed in very close cooperation with IEEE 802.16,  such that the HiperMAN standard and a subset of the IEEE 802.16a-2003 standard will interoperate seamlessly. HiperMAN is capable of supporting ATM, though the main focus is on IP traffic. It offers various service categories, full Quality of Service, fast connection control management, strong security, fast adaptation of coding, modulation and transmit power to propagation conditions and is capable of non-line-of-sight operation. HiperMAN enables both PTMP and Mesh network configurations. HiperMAN also supports both FDD and TDD frequency allocations and H-FDD terminals. All this is achieved with a minimum number of options to simplify implementation and interoperability. The Internet protocol suite is the conceptual model and set of communications protocols used in the Internet and similar computer networks. It is commonly known as TCP/IP because the foundational protocols in the suite are the Transmission Control Protocol (TCP) and the Internet Protocol (IP). It is occasionally known as the Department of Defense (DoD) model because the development of the networking method was funded by the United States Department of Defense through DARPA. Non-line-of-sight (NLOS) and near-line-of-sight are radio transmissions across a path that is partially obstructed, usually by a physical object in the innermost Fresnel zone. A mesh network is a local network topology in which the infrastructure nodes connect directly, dynamically and non-hierarchically to as many other nodes as possible and cooperate with one another to efficiently route data from/to clients. This lack of dependency on one node allows for every node to participate in the relay of information. Mesh networks dynamically self-organize and self-configure, which can reduce installation overhead. The ability to self-configure enables dynamic distribution of workloads, particularly in the event that a few nodes should fail. This in turn contributes to fault-tolerance and reduced maintenance costs. IEEE 802.11 is part of the IEEE 802 set of LAN protocols, and specifies the set of media access control (MAC) and physical layer (PHY) protocols for implementing wireless local area network (WLAN) Wi-Fi computer communication in various frequencies, including but not limited to 2.4, 5, and 60 GHz frequency bands. HiperLAN is a Wireless LAN standard. It is a European alternative for the IEEE 802.11 standards. It is defined by the European Telecommunications Standards Institute (ETSI). In ETSI the standards are defined by the BRAN project. The HiperLAN standard family has four different versions. Wireless local loop (WLL), is the use of a wireless communications link as the "last mile / first mile" connection for delivering plain old telephone service (POTS) or Internet access to telecommunications customers. Various types of WLL systems and technologies exist. IEEE 802.20 or Mobile Broadband Wireless Access (MBWA) was a specification by the standard association of the Institute of Electrical and Electronics Engineers (IEEE) for mobile wireless Internet access networks. The main standard was published in 2008. MBWA is no longer being actively developed. The V band ("vee-band") is a standard designation by the Institute of Electrical and Electronic Engineers (IEEE) for a band of frequencies in the microwave portion of the electromagnetic spectrum ranging from 40 to 75 gigahertz (GHz). The V band is not heavily used, except for millimeter wave radar research and other kinds of scientific research. It should not be confused with the 600–1000 MHz range of Band V of the UHF frequency range. HomeRF was a wireless networking specification for home devices. It was developed in 1998 by the Home Radio Frequency Working Group, a consortium of mobile wireless companies that included Proxim Wireless, Intel, Siemens AG, Motorola, Philips and more than 100 other companies. IEEE 802.11p is an approved amendment to the IEEE 802.11 standard to add wireless access in vehicular environments (WAVE), a vehicular communication system. It defines enhancements to 802.11 required to support Intelligent Transportation Systems (ITS) applications. This includes data exchange between high-speed vehicles and between the vehicles and the roadside infrastructure, so called V2X communication, in the licensed ITS band of 5.9 GHz (5.85-5.925 GHz). IEEE 1609 is a higher layer standard based on the IEEE 802.11p. It is also the basis of a European standard for vehicular communication known as ETSI ITS-G5. IEEE 802.11n-2009, commonly shortened to 802.11n, is a wireless-networking standard that uses multiple antennas to increase data rates. Wi-Fi Alliance have also labelled the technology for the standard as Wi-Fi 4. It standardized support for multiple-input multiple-output, frame aggregation, and security improvements, among other features, and can be used in the 2.4 GHz or 5 GHz frequency bands. IEEE 802.11y-2008 is an amendment to the IEEE 802.11-2007 standard that enables data transfer equipment to operate using the 802.11a protocol on a co-primary basis in the 3650 to 3700 MHz band except when near a grandfathered satellite earth station. IEEE 802.11y is only being allowed as a licensed band. It was approved for publication by the IEEE on September 26, 2008. IEEE 802.11 – or more correctly IEEE 802.11-1997 or IEEE 802.11-1999 – refer to the original version of the IEEE 802.11 wireless networking standard released in 1997 and clarified in 1999. Most of the protocols described by this early version are rarely used today. IEEE 802.11a-1999 or 802.11a was an amendment to the IEEE 802.11 wireless local network specifications that defined requirements for an orthogonal frequency division multiplexing (OFDM) communication system. It was originally designed to support wireless communication in the unlicensed national information infrastructure (U-NII) bands as regulated in the United States by the Code of Federal Regulations, Title 47, Section 15.407. IEEE 802.11b-1999 or 802.11b, is an amendment to the IEEE 802.11 wireless networking specification that extends throughput up to 11 Mbit/s using the same 2.4GHz band. A related amendment was incorporated into the IEEE 802.11-2007 standard. IEEE 802.11g-2003 or 802.11g is an amendment to the IEEE 802.11 specification that extended throughput to up to 54 Mbit/s using the same 2.4 GHz band as 802.11b. This specification under the marketing name of Wi-Fi has been implemented all over the world. The 802.11g protocol is now Clause 19 of the published IEEE 802.11-2007 standard, and Clause 19 of the published IEEE 802.11-2012 standard. MiWi and MiWi P2P are proprietary wireless protocols designed by Microchip Technology that use small, low-power digital radios based on the IEEE 802.15.4 standard for wireless personal area networks (WPANs). It is designed for low data transmission rates and short distance, cost constrained networks, such as industrial monitoring and control, home and building automation, remote control, low-power wireless sensors, lighting control and automated meter reading. WiGig, alternatively known as 60GHz Wi-Fi, refers to a set of 60 GHz wireless network protocols. It includes the current IEEE 802.11ad standard and also the upcoming IEEE 802.11ay standard. IEEE 802.11af, also referred to as White-Fi and Super Wi-Fi, is a wireless computer networking standard in the 802.11 family, that allows wireless local area network (WLAN) operation in TV white space spectrum in the VHF and UHF bands between 54 and 790 MHz. The standard was approved in February 2014. Cognitive radio technology is used to transmit on unused portions of TV channel band allocations, with the standard taking measures to limit interference for primary users, such as analog TV, digital TV, and wireless microphones. 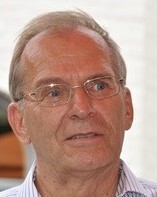 Bernhard H. Walke is a pioneer of mobile Internet access and professor emeritus at RWTH Aachen University in Germany. He is a driver of wireless and mobile 2G to 5G cellular radio networks technologies. In 1985 he proposed a local cellular radio network comprising technologies in use today in 2G to 4G and discussed for 5G systems, like self-organization of a radio mesh network, integration of circuit- and packet switching, de-centralized radio resource control, TDMA/spread spectrum data transmission, antenna beam steering, spatial beam multiplexing, interference coordination, S-Aloha based multiple access and demand assigned traffic channels, mobile broadband transmission using mm-waves, and multi-hop communication. 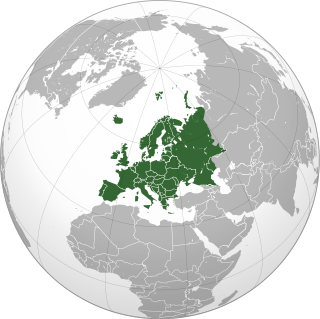 ↑ "What is Europe's ETSI HiperMAN?". wimax.com. Retrieved 2008-02-20. ↑ "The HiperMAN Standard – a Performance Analysis" (PDF). ist-strike.org. Retrieved 2008-02-20. ↑ "ETSI BRAN HiperMAN Liaison Report" (PDF). ieee802.org. Retrieved 2008-02-20.